A waking tour, a journey by walk in the heart of Africa, walking slowly and with the rhythms and traditions of the places you are visiting is an authentic and immersive experience. An adventure that will engage all your senses. Have you ever wanted to go on a walking tour, a journey on foot? Forget noisy traffic jam and long drives? We believe that by exploring a destination and joining a walking tour is a great way to discover culture and the beauty of that land. At every step you discover new details, you grab something about the world and about yourself, in peace. 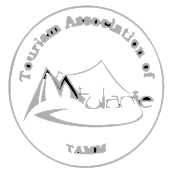 With a small group of people (maximum 8) who think just like you and with local professional guides, qualified, experienced and working in the field, you will enjoy a walking tour in the countryside, on mountain trails, walking safaris in national parks, markets and villages you will encounter on the road, walking as much as possible. You will have the chance to savor the journey slowly, “green”, without a trace. It will be a time of personal growth, you will enjoy the endless moments without having to run from one place to another and the baggage with which to return home will be enriched with new experiences and friendships. All this always in absolute safety. For walkers, for those who want to enjoy a bit of adventure and different rhythms of everyday life, for those who want to explore, for those who want to regain their time and shake off all the fears and enjoy unique places and cultures. For those who are fed up with spending time sitting in the car, for those who believe that a walking tour or trip on foot is our natural means. For those who want to reconnect with nature, places and knowledge. For inspired travelers, for those who believe in the values ​​of responsible tourism and for those who think that their legs are the best means of transport. The whole tour will be approached on foot, on paths and variable distances, but always in comfortable and relaxing rhythms to allow rest at any time of the day. During the entire walking tour we will use the car for only 5 hours. Yes, that’s right, five hours total on a 15 day trip, to address transfers that walking would be uncomfortable and boring. In addition to the two transfers to and from the airport. The guides, who are present for the entire trip, are not only professionals and experts in the nature of the areas we are exploring, but they are at home! An added value to enjoy the best of nature and of the traditions that make Malawi unique.